A number of Citroen interior dash kits are available at our online store. 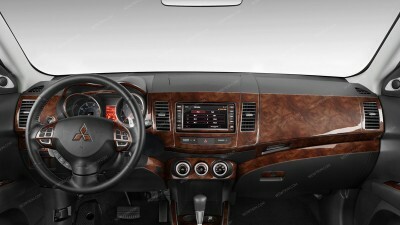 You will be able to find many real wood, wood grain, aluminum, camouflage & carbon fiber dash kits for Citroen on the website. If you encounter some difficulty choosing the pattern for your car, order the color sample to find the most suitable option. Citroen Berlingo 2006, 2007, 2008, 2009, 2010, 2011, 2012, 2013, 2014, 2015, Interior Kit, With Manual Transmission, 3 Pcs. Citroen C2 2005, 2006, 2007, 2008, 2009, Interior Kit, With Manual Transmission, 14 Pcs. Citroen C2 2005, 2006, 2007, 2008, 2009, Interior Kit, Right Hand Drive, With Manual Transmission, 14 Pcs. Citroen C3 2006, 2007, 2008, 2009, Interior Kit, With Manual Transmission, 18 Pcs. Citroen C4 2006, 2007, 2008, 2009, 2010, Interior Kit, With Manual Transmission, 14 Pcs. Citroen C5 2008, 2009, 2010, 2011, 2012, 2013, 2014, 2015, With Automatic Transmission, W/o Navigation System, Full Interior Kit, 35 Pcs. Citroen C5 2008, 2009, 2010, 2011, 2012, 2013, 2014, 2015, With Automatic Transmission, Basic Interior Kit, 10 Pcs. Citroen C5 (X7) 2008, 2009, 2010, 2011, 2012, 2013, 2014, 2015, Stainless Steel Pillar Posts, 6 Pcs. Citroen C5 2005, 2006, 2007, Interior Kit, With Basic Radio, 4 Pcs. Citroen C5 2008, 2009, 2010, 2011, 2012, 2013, 2014, 2015, Exterior Kit, 6 Pcs. Citroen Jumper 2006, 2007, 2008, 2009, 2010, 2011, 2012, 2013, 2014, 2015, Interior Kit, With Manual Transmission, 5 Pcs.